Imagine, you and I can bring glory to the God of this universe…and benefit from it, too. And if we don’t, God will get His glory anyway. But He’d much rather have us involved. My friend, Kathy Collard Miller, has written a beautiful book on the blessings of living out God’s glory. 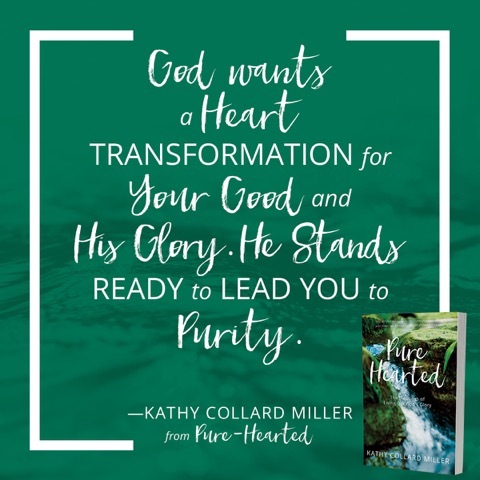 Read her guest blog here and leave a comment at the end and you will be entered into a drawing to win a signed copy of her new book, Pure Hearted. Raf had inadvertently given God the glory He deserves. And Raf’s comment reminded me of my own desire to give God glory. Unfortunately, I think superlative words like awesome and amazing can be overused in general conversation, thus diminishing the power of describing God in ways only He is qualified to claim. Years ago I heard a sermon encouraging me to not apply God-descriptive words like “awesome” to things below that category. As a result, I’ve been more aware of the importance of those words. I had never thought of it before then but now there’s a little check in my spirit by the Holy Spirit when I succumb to using a word for the mundane that should only describe God’s character. But that’s only a small—yet significant—way all of us can magnify God. I believe the primary way we can give God glory is to purify more and more our heart’s motives. Out of the Spirit-purified well of our heart’s condition, we will know more freely and wisely how God wants to use us to exalt, lift, and magnify His holy nature. You could say we’ll be pouring the pure water of truth into a muddy pool thus clearing it more and more of wrong desires, motives, and actions. That very process will give God glory. Sometimes, we are unclear about what brings glory to God and how to bring glory to God. 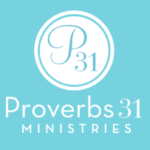 Our goodness, walk of faith, and directing attention to God are three of many ways. But there isn’t any “one size fits all” way to glorify God. There is no: “The Secret Formula for Glorifying God in One Step.” Instead, we must abide moment by moment seeking the Holy Spirit’s leading, thus glorifying Him as our source. There is also no guarantee God’s work in us will be acknowledged by others. Thankfully, God’s glory is not dependent upon their reaction or beliefs. We cannot force anyone to agree with us nor give credit to God, even if we were to perfectly reflect a perfect God. Additionally, we cannot diminish God’s glory even when we reflect Him imperfectly because of our mistakes, sins, or problems. Regardless, the angels continue to call God Almighty “holy, holy, holy” before His throne. His perfection has not changed. At the end of time, every knee will bow before Him, acknowledge Him, and give Him glory. Whether or not we reflect God’s glory perfectly, the stars still reveal His splendor. Common grace offers His blessings to all. The gifts and talents He gives to undeserving people exalt Him even though the gifts may be misused. Sometimes, I’m brought to tears hearing the beauty of the singing voice or the incredible musical skills of an orchestra. Anyone need only pay attention to the numerous ways God reveals Himself as holy and good—then the reason to give Him glory is seen. Ultimately, we only need to see the perfect life of God’s redeeming Son Jesus. Jesus is God Himself, and on earth, He was an exact representation of God the Father. Although we will never represent God perfectly like Jesus did, He still wants to use us. What a glorious calling. And in God’s generosity, He “shares” His glory by changing us to be more like Him. Let’s more intentionally glorify God. It is possible. Kathy Collard Miller is an award-winning author of over 50 books that include Christian living topics, women’s Bible studies, and Bible commentaries. She is a speaker who has shared in 8 foreign countries and over 30 US states. Kathy and Larry have been married for 47 years and are the parents of 2 and grandparents of 2. They live in Southern California and often write and speak together. Visit her at www.KathyCollardMiller.com. She would love to hear from you. on How to Bring God Glory. I would like to read more about how to glorify God with my life. Thank you, Tammy, for entering the drawing with your comment and for your desire to learn about glorifying God. I’m learning more too!!!! LOL I love that God invites us on a journey and doesn’t expect us to be perfect. So keep up the good work seeking Him! Gosh, it is hard to fathom what God has in mind for us that will bring Him glory. Is it being the best mother, or being the best wife? Or being a friend when one is needed. We do not need to do great acts to give God glory. I think it is important to remember that every act, no matter how small, is an opportunity to give glory to God. Great insights, Theresa. It isn’t so much that we are GREAT at something, as only God is truly great. But it is more how we give the credit and applause to God so others see Him in our lives. Thanks for your comment. You are absolutely right, Theresa. I think there is a misperception like you’re indicating that giving God glory requires being famous people or those who do great sacrificial acts. But anything done with a desire for God’s glory in obedience to His leading brings Him glory whether or not people acknowledge it as such–just like you’re saying. I loved exploring in my study of God’s glory what it means to live a daily life for God’s glory. And I surprisingly found there are benefits for us as we do that, because God is a generous God. Wow, don’t get me started–I’ll start giving the whole book. LOL. So Theresa, thanks for commenting and entering the drawing. It is my greatest joy to see God’s beautiful creations all around me. We should always be prompted by the Holy Spirit to look for God’s glory all around us. Thank you for your comment, Stacia. Good to know you are still out there reading and responding to my blogs…and seeking to glorify God. How I appreciate you. Hi Stacia, you’ve brought to the discussion one of the primary ways most people see God’s glory. And God in Scripture most often uses His creation as evidence of His glory. So you are right on! Thank you for taking the time to comment and enter the drawing. I would be honored to read your book – I really want to grow and have that Pure Heart. Right now in my life with everything going on I have such a hunger for the Word of God. Thank you for your comment, Lara. I’m glad to see you are still hungering for Him. Blessings to you. I agree with Cindi, Lara, it’s thrilling to hear of your passionate hunger for God’s Word. I’m praying that my book inspires many women to have that same hunger. Thank you for stopping by! I desire to give God glory more than anything else in this world. He deserves the Glory, honor and all praise. I would love to read this book because I think it can get me to that place that I desire in Him. God bless you and thank you! Thank you, Sheryl. Good to see you are still here on the blog. Blessings as you and your husband continue to minister to others and emanate God’s glory. Thank you, Sheryl, for letting us praise God with you because of the glory, honor and praise He deserves. I’m so glad that it’s guaranteed God receives all that. We may not reflect Him perfectly, but He still uses us. I’m so encouraged by that. I hope you are too. Hi Doris, I love your passion for God’s glory. You are right–only He is deserving! Thank you for reminding us. Thank you, Cindi, for hosting my guest post and my giveaway. I truly hope your readers are drawn to glorify God more. I need this book. North Carolina. Thanks, Jennifer. I’ve got you entered for the book drawing. Jennifer, thank you for stopping by and putting your name into the drawing. I do hope my book will bless you, whether you win or purchase it. I want to Glorify God more and have a Pure Heart as He wants me to have. I want to be the best I can be for my family. I want and need a stronger more personal relationship with God. Sharon, I’m so glad you see the value and importance of glorifying God and how wanting that does draw us closer to Him. That’s the purpose of my book. So thank you for referring to that. Thank you for a great reminder (because I use these words ALL the time for daily life) from a 9 year-old and you Kathy, that certain words (awesome) are for God’s glory! Oh yes, Cheri, ALL is an important word like you say. We may not even recognize it’s in our attitude even if we don’t say the word. And you can imagine the joy of me hearing my grandson. He truly does love Jesus and is glorifying God even though he’s not fully aware. I was able to show him in one of the edited manuscripts what I’d written about him and he gave me a big hug. It was precious. Well, I better not get started talking about my grandkids!!!! I’ll never stop. Thank you, Chery, for being a part of the drawing! I’m glad you’re back, Gaylene. 🙂 Jeremiah 29:13 says “You will seek me and find me when you seek me with all your heart.” When we ask “Where are you, God?” He is always faithful to reveal Himself. Gaylene, what a fabulous story of God’s care, love, and provision for your heart. You blessed me by sharing it. I’m not surprised that Cindi ministered to you. She is such a blessing to us all. Thank you commenting here and we’ll put you into the drawing. I hope my book will encourage your heart. 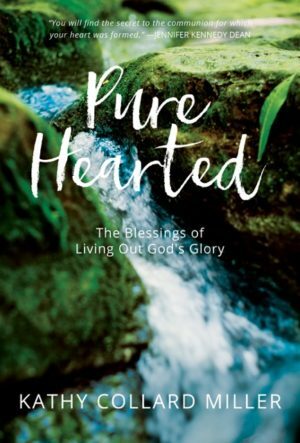 Congratulations to Sharon of Texas for winning the drawing for Kathy’s book, Pure Hearted. Thank you to ALL of you for leaving your heartfelt responses. Watch for more free book drawings on my blog in the next couple of weeks. I am new to this blog and I am thankful I stumbled on to it today. I am trying to dive more into the word of God and I really appreciate the views that are shared in the book looking specifically at the habits of women. The one small piece today as I was reading is the over use of the words awesome and amazing. I too need to examine my use of these words so as to use them only when glorifying God. I have been met with a challenge. Thank you. I look forward to reading more.